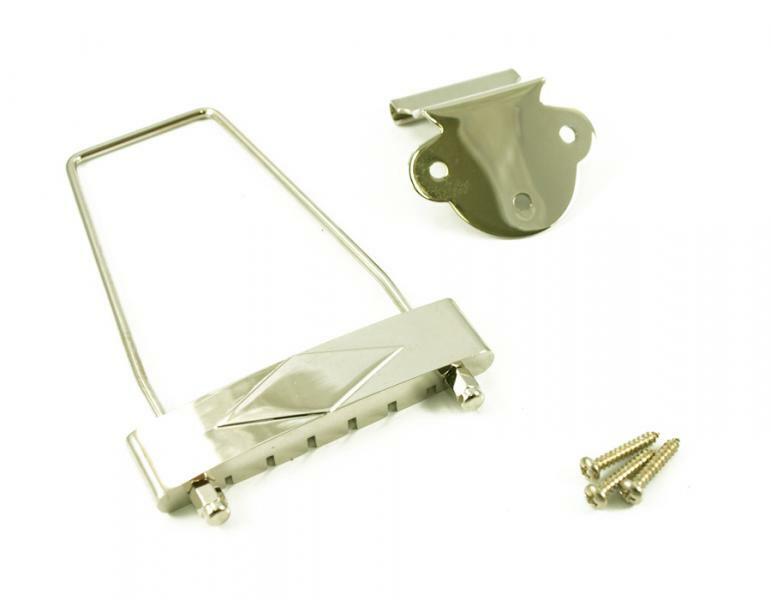 Archtop tailpiece with radiused mounting bracket. 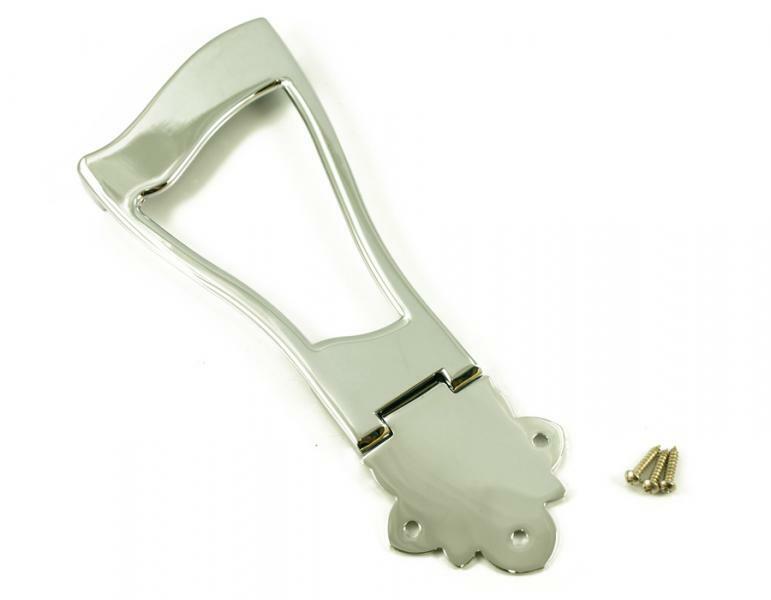 This tailpiece for archtop guitars is a classic design with decorative metalwork supporting the shape of the bracket that links to the tailpiece hinge. 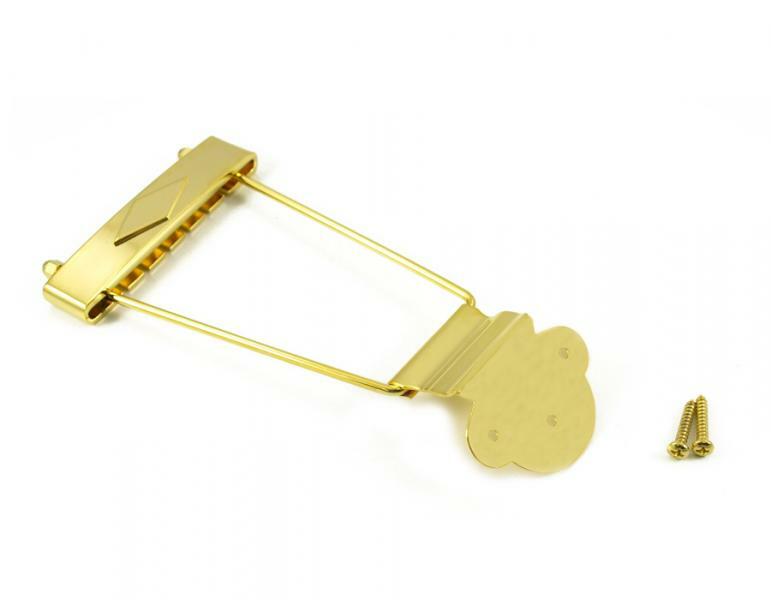 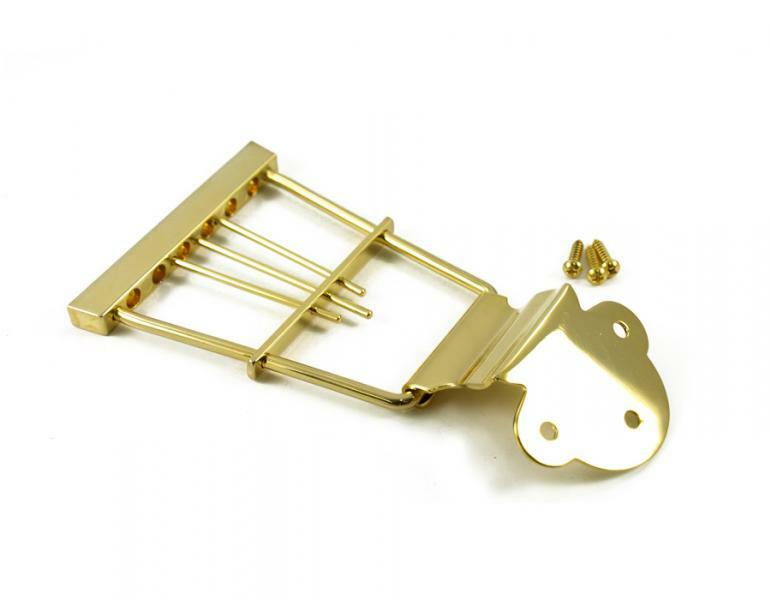 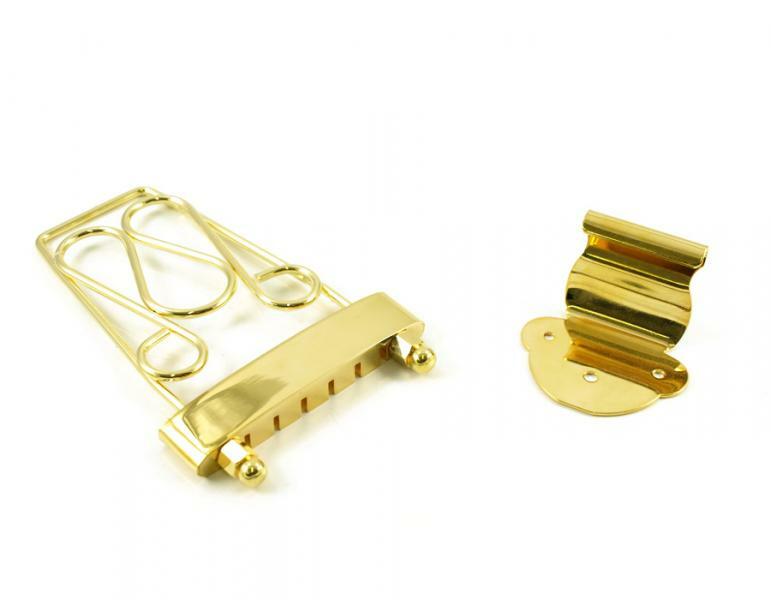 This deluxe archtop tailpiece is suitable for dressing up any hollowbody guitar. 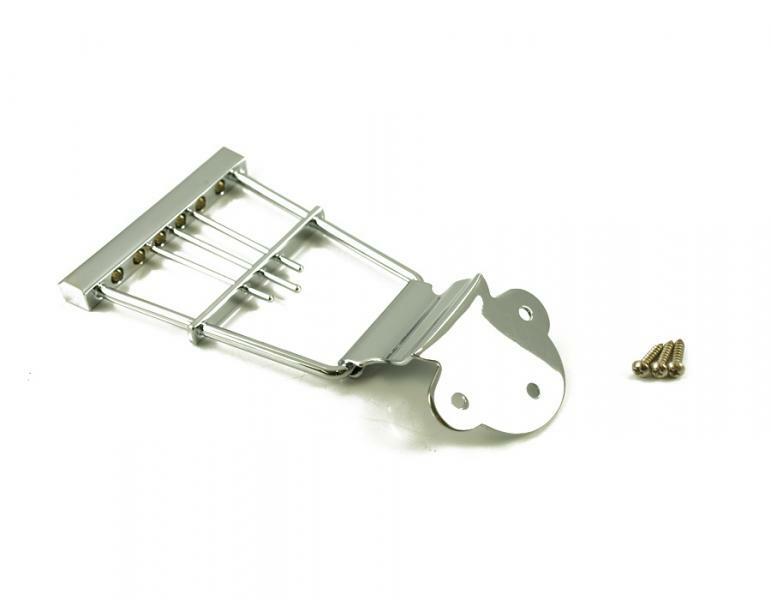 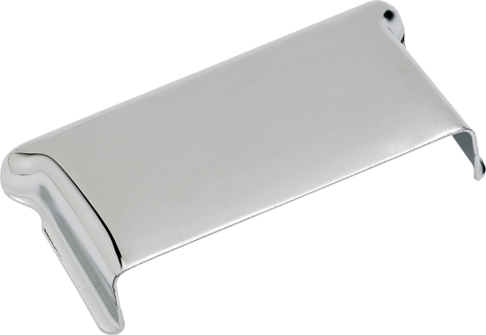 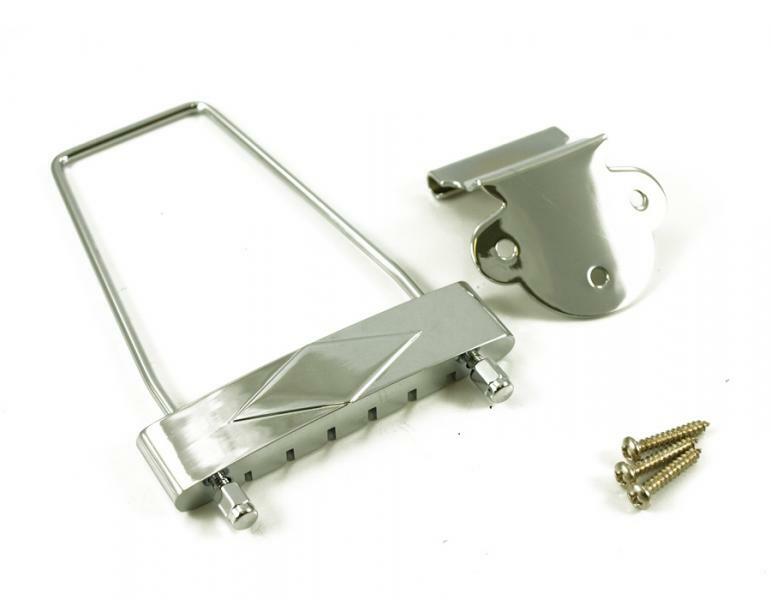 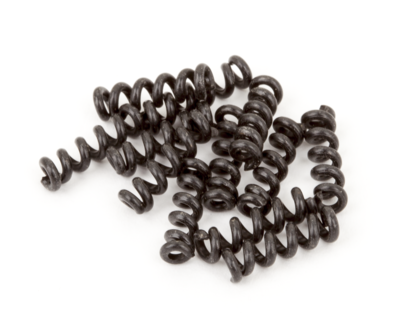 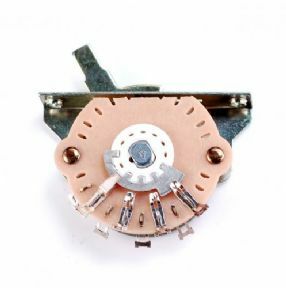 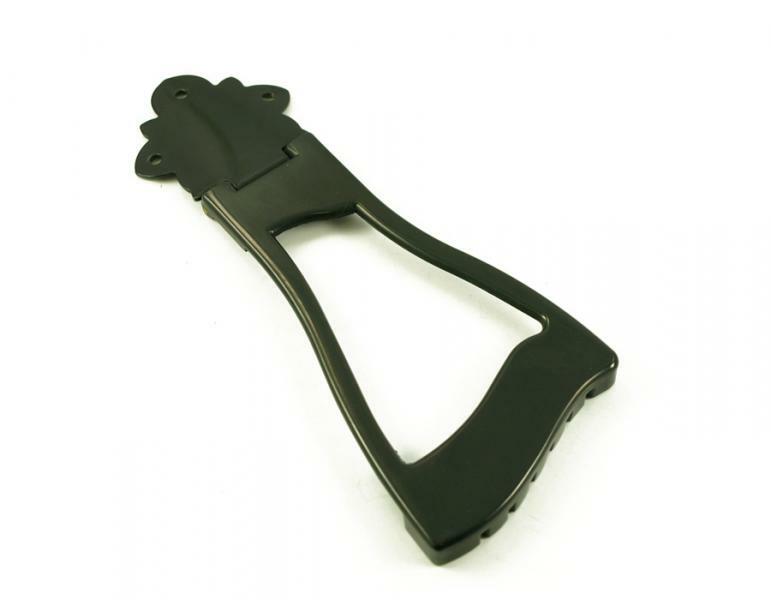 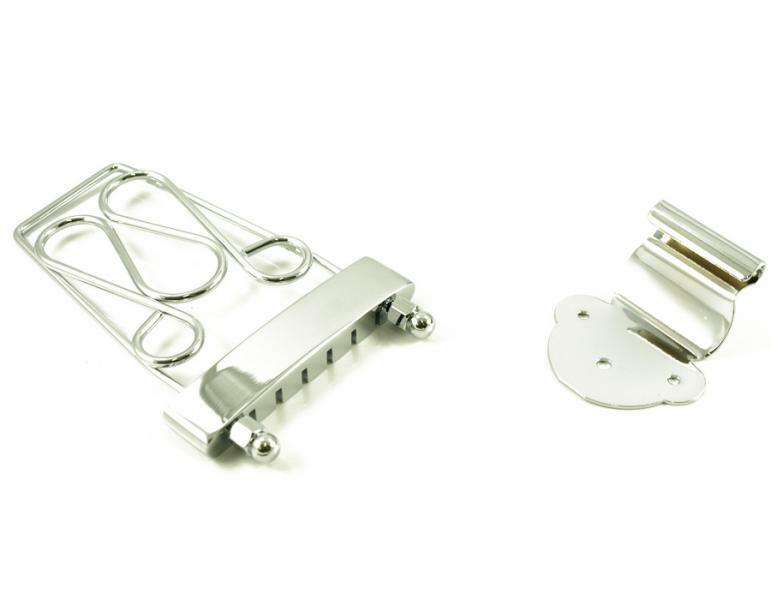 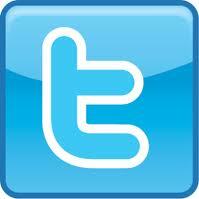 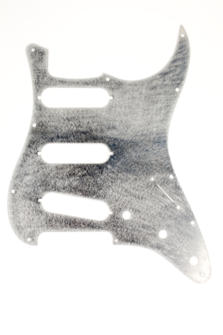 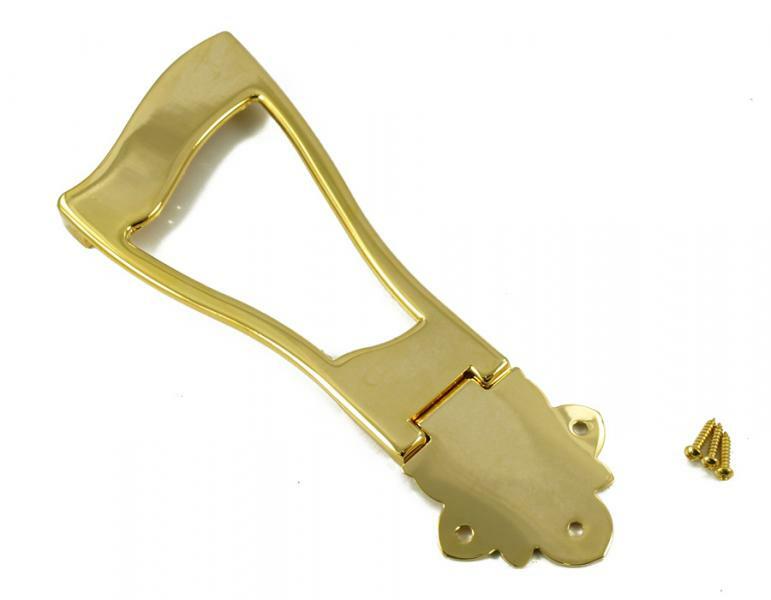 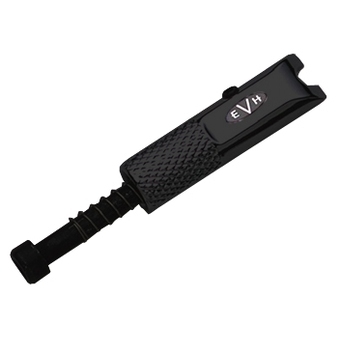 This tailpiece was used on many Gibson® guitars including the following models- L-50, L48, ES-125, ES-330 and ES-335.